Home > Personal Finance > When Should I Dip Into My Emergency Fund? When Should I Dip Into My Emergency Fund? Yet, that’s the idea you should start with. The emergency fund, like a living will, is something no one wants to need to use or discuss (unless you live in LaCrosse, Wis., apparently). But that’s the way life goes — it’ll come in handy, and you’ll be glad you had it. It may not be the most fun budget category, but the emergency fund is one of the most important parts of personal finance. But what exactly is an emergency fund? It can be hard to stomach putting aside thousands of dollars for a disaster that may never come, but you don’t want to deplete such funds in case you find yourself battling a sudden (and expensive) health issue, for instance. It takes patience to build one. Emergencies are unexpected expenses that exceed your ability to pay with your budget. In other words: If it can wait, it’s not an emergency. But these cash stashes are more complex than that. Of course buying a new couch isn’t an emergency — but if the washing machine breaks without warning and you have four people’s worth of clothes to wash, should you draw from your emergency fund to replace it? That answer may not be the same for everyone. 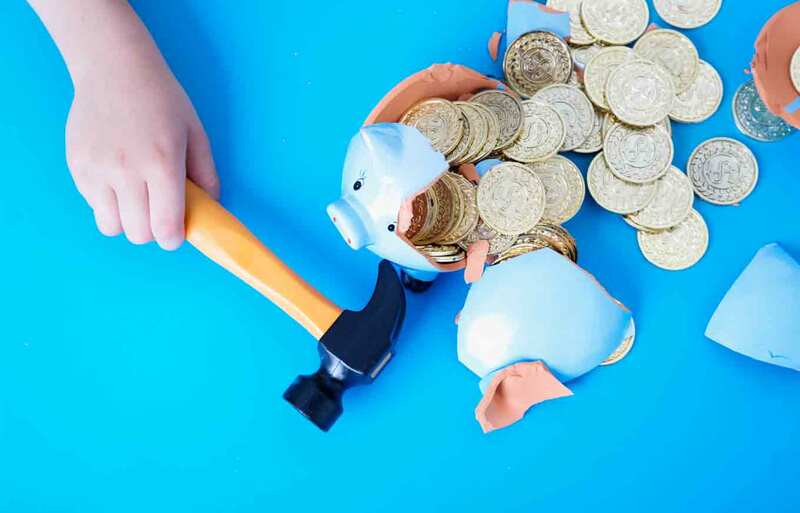 There are several ways to approach emergency savings to make that decision easier, but here’s an important thing to note: In addition to having the emergency fund, you need a plan for replacing whatever you withdraw when an emergency arises. It’s up to you how to construct your emergency savings, but the NAPFA members gave several suggestions. One that helps solve the “What is an emergency?” problem comes from Rett Dean of Riverchase Financial Planning. He suggests separating funds for income emergencies and expense emergencies. “Income emergencies are the sudden loss of income and the need to replace critical income while new employment is found,” he said. Expense emergencies include major, unexpected repairs involving things like the water heater or plumbing. As for where you should put the money, there are many options. Several financial planners suggested opening up a separate savings account at a bank different from that of your checking account so you’re less tempted to spend it (though electronic transfers make that pretty easy to overcome). If you don’t like the idea of letting money sit in a savings account untouched, look into opening a high-yield savings account to store your emergency fund. Many planners expressed the importance of having stable access to your fund, no matter where you put it. You can choose a traditional savings account, a CD or even a Roth individual retirement account — the important thing is to know whether or not you’ll be subject to penalty fees if you withdraw from these accounts. The best kind of emergency fund is the kind that doesn’t cost you anything. Determining how much to save means knowing your non-negotiable expenses, which include your rent or mortgage, loan payments, utilities, basic groceries and transportation to work. Some planners recommend saving three to six months’ worth of expenses. Others say it’s best to have an entire year of essential expenses at hand. Once you hit your goal, don’t stop saving. Make sure your fund is keeping up with the rising cost of living, and put the money you had been saving for an emergency toward other financial goals, like investments, saving for retirement or paying down debt. If you’re thinking “Three months of expenses? How am I supposed to save that much?” don’t panic. Yes, this is challenging. But difficulty doesn’t negate its importance, which is why it helps to set aside savings before determining how much you have to spend. If you’re getting a tax refund, that’s a great way to start or bolster your emergency fund. Receiving gift money or a monetary prize of some sort makes it easy to buy fun things, but it also makes saving ridiculously easy. You may not like thinking about life’s worst-case scenarios, but those situations are a heck of a lot less stressful when you’ve created a plan for getting through them.